Personalized Holiday Iron-on Transfers - 16 Designs Just $4.95! You are here: Home / Great Deals / Personalized Holiday Iron-on Transfers – 16 Designs Just $4.95! 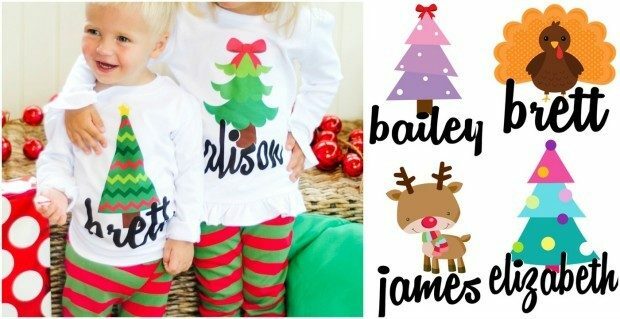 Personalized Holiday Iron-on Transfers – 16 Designs Just $4.95! For both Christmas and Thanksgiving, our NEW Holiday Designs offer some adorable options for your little ones. Order the Personalized Holiday Iron-on Transfers – 16 Designs for Just $4.95! This feature is for one personalized iron-on transfer in your choice of 16 designs and comes with detailed instructions to use with a white shirt or bag.